Last week, euro again down by 0.70% as disappointing PMI surveys dented the sentiment further. We learned from recent Germany data; Sentiment weakened further with the Germany economy contracted by 0.2% in 3Q of 2018 and Ifo business climate Index falls this month. “Growth to remain below the trend rate in Q4 – Recent surveys indicate that eurozone GDP growth will have remained below the trend rate in Q4.” ABN AMRO Sr. Economist Aline said in a note. According to Destatis, in the third quarter of 2018, the gross domestic product (GDP) shrank by 0.2% on the second quarter of 2018. This was the first decline recorded in a quarter-on-quarter comparison since the first quarter of 2015. In the first half of 2018, the GDP had increased, by 0.5% in the second quarter and 0.4% in the first quarter. Flash Germany Services PMI Activity Index at 53.3 (54.7 in Oct); 6-month low. Flash Eurozone Services PMI Activity Index at 53.1 (53.7 in October). 25-month low. The week ahead will be busy on the macroeconomic data front; besides G20 summit in the spotlight. ECB and Fed minutes grab the attention too. Furthermore, later this week’s EA and US inflation data partly cast the EURUSD short-term trend. Market participants are a focus on the comments on the Fed future rate cycle. 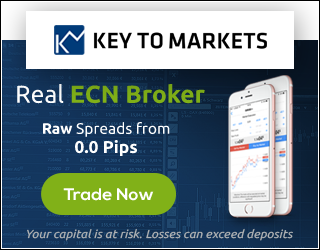 Besides ECB President Draghi and ECB Executive Board members testimonies grab the euro traders attention. 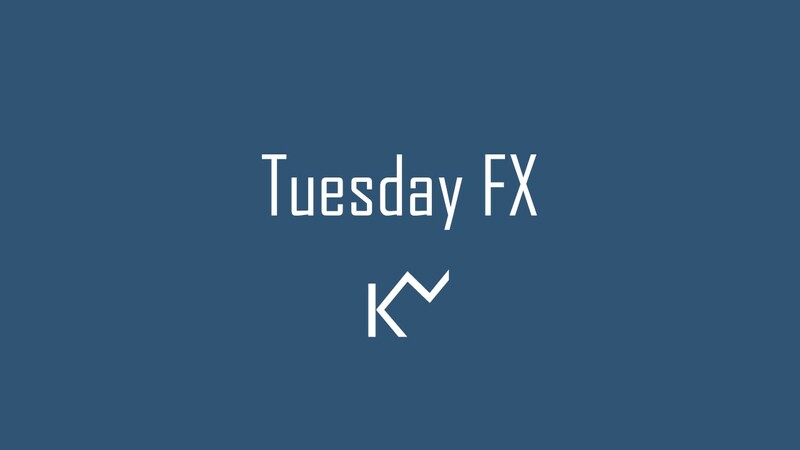 EURUSD failed to gain a footing above the 1.1500 last week triggering a retracement to 1.1325. Whereas the daily indicators still giving a bullish outlook, especially the oscillator still holds the bullish crossover. Support at the parallel level 1.1300 has held so far; however, the rallies have been capped between 1.1470-1.1500. On the downside, a break below 1.1300 may trigger losses towards 1.1265 and 1.1220/1.1200. 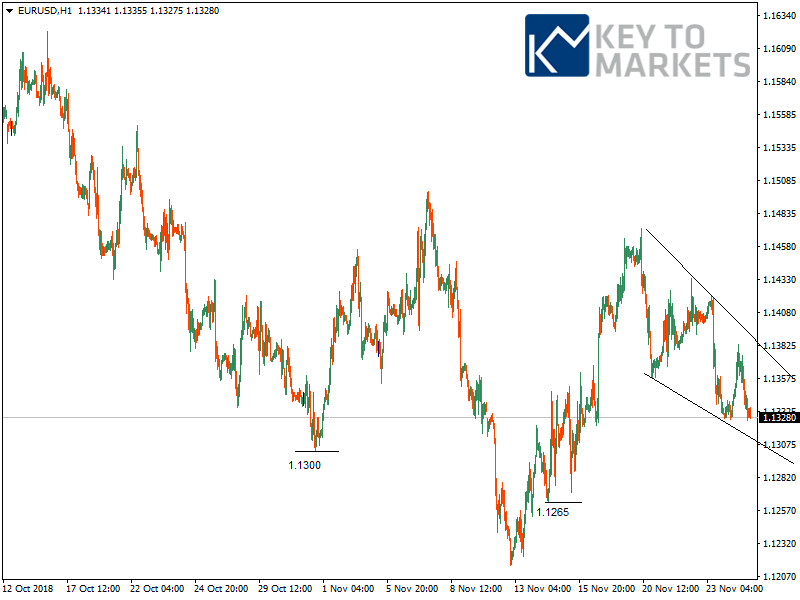 Ahead of the minutes, the weekly outlook remains in ranges; a small descending channel has formed in the hourly chart. Hence, we expect the price likely to consolidate between 1.1260-1.1470 in the week ahead. We also expect a big squeeze if market senses a trade deal between US-China. In this case, 1.1500/1.1550 is an initial target. GBPUSD: Trading range remains between 1.2730/1.2700 and 1.3000 levels.